Home > Blog > Happy Chinese New Year! Instead of bidding a grave farewell to 2013’s Year of the Snake, here at Cass Art we’re jumping for joy to welcome 2014’s Year of the Horse! Celebrating with all things equestrian, we talk to the experts at the Society of Equestrian Artists, a group of over 400 artists specialising in works dedicated to the horse encompassing many styles and forms of equestrian art from the traditional to the contemporary. We’re feature a range of the SEA’s art for a further look on the horse in art. 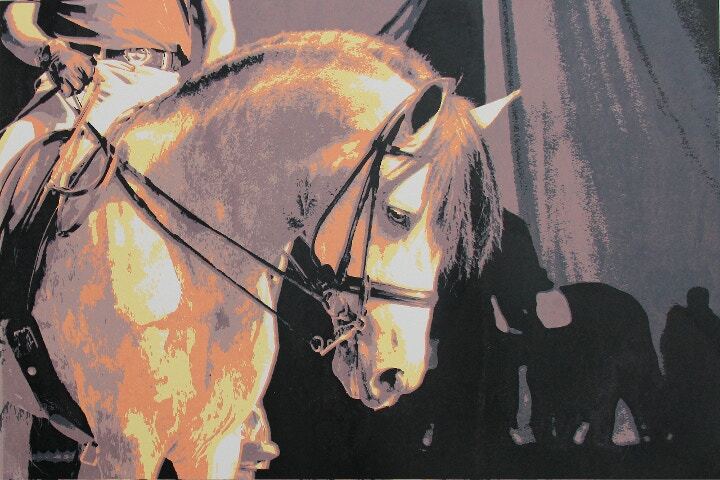 The Society of Equestrian Artists Chairwoman Deborah Burt ASEA explains. Sally Lancaster is an entirely self-taught artist, recently promoted to Full Member of the SEA, she serves on their Executive Committee and also acts as Membership Secretary, and is happy to help new and prospective members with their enquiries. Working mainly in oils, her focus is always on the beauty of the horse itself, often observed from unusual or quirky angles. 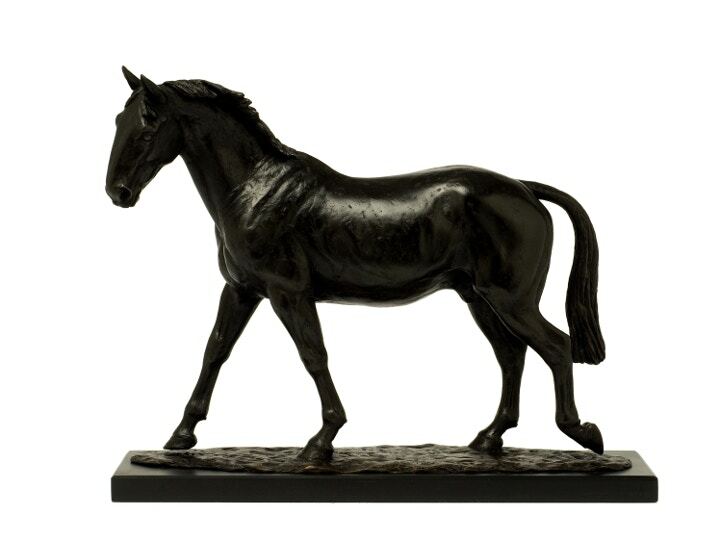 Associate member, Camilla Le May’s bronze sculptures range from small studies to life-size and include the recently unveiled statue of the Household Cavalry’s Sefton, at the Royal Veterinary College. She won the British Sporting Art Award for Sculpture at the Annual Exhibition which led to becoming the RVC’s inaugural Artist in Residence. This residency included extra-curricular sculpture workshops for the veterinary students and attending dissections and lectures on anatomy. Michelle McCullagh ASEA , attended Falmouth School of Art and in her final year won the SEA’s Award for Best Oil Painting. She has won many further awards with the SEA including those for Young Artist and Best Sporting work. The last named has won her an exclusive audience with equine superstar Frankel, who now resides at that prizes’ sponsors stud in Newmarket. She has also recently had a book of her sketches published, entitled ‘Racing’. Jeremy Houghton won the Best in Show Award at the Society’s Annual Exhibition, The Horse In Art in his first year of exhibiting as a friend. His latest project, in commemoration of the centenary of World War I, is inspired by previously unseen photographic archives provided by the British Army Polo Association. His distinctive watercolour paintings celebrate this little known story of adventure and a percentage of sales from this touring exhibition will go towards the Horse Trust who care for service horses in their retirement. With a background in commercial graphic design, Honorary Full Member, Glynis Mills, now produces mainly silkscreen prints and became the first winner of the Societies most prestigious award The Cuneo Medal, with works in that medium. She used the prize money to rescue a pony from slaughter in Ireland and no doubt he will feature as a model in her entries this year. 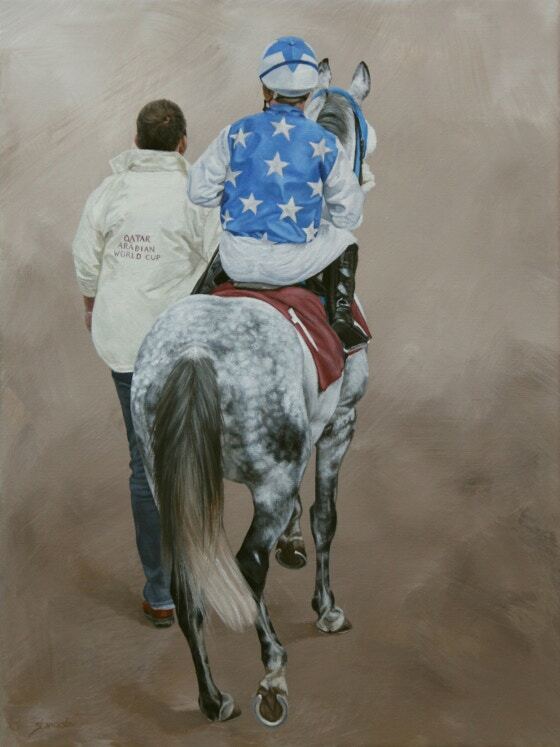 This year ‘The Horse in Art’ opens at the Mall Galleries. on September 2nd. Whilst the main exhibition is open to all, within it, there will be a smaller show, entirely devoted to life studies by the Society’s members, completed at workshops run by the Society around the country, in order to promote the Society’s commitment to working from life. Feeling inspired? Shop online for your all your art supplies and follow us on Facebook and Twitter for our latest artist finds.